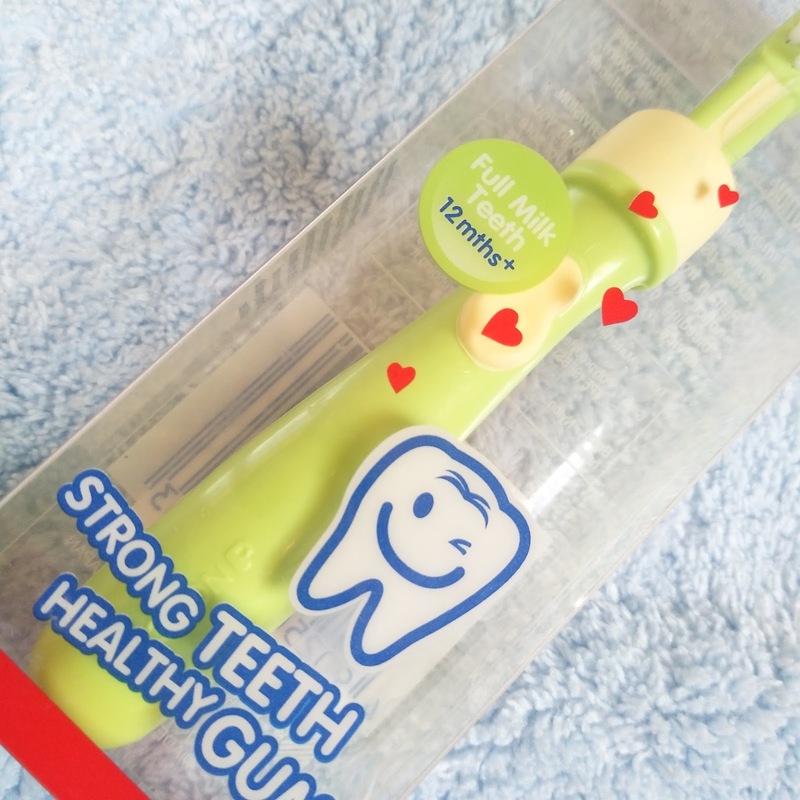 Much love, Mommy: Do You Clean Your Baby’s Teeth and Gums? 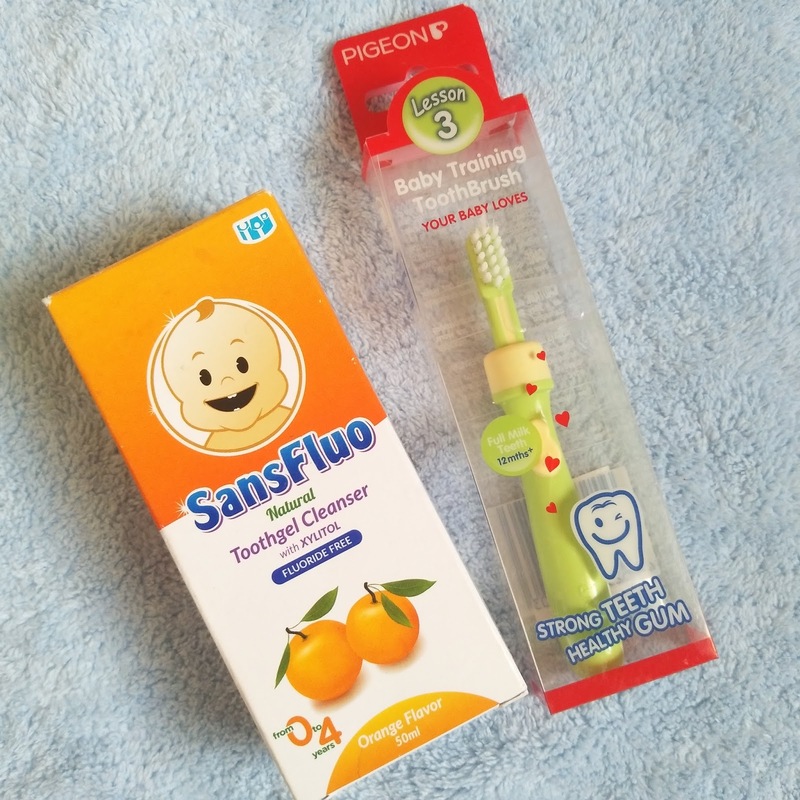 Do You Clean Your Baby’s Teeth and Gums? When baby first started showing teeth, my main concern was how to brush or clean it. When he was still a newborn, I would always clean his mouth with a clean cloth and water. I always do it every day. Actually, I have the option not to because he was exclusively breastfeed. For exclusively breastfeed babies, it is totally fine not to clean their mouth and tongue because milk from moms are totally clean. However, I still prefer to clean it because I am seeing build-up of milk at the center of his tongue and it somehow bothers me. I clean it before or during his bath/wash time. 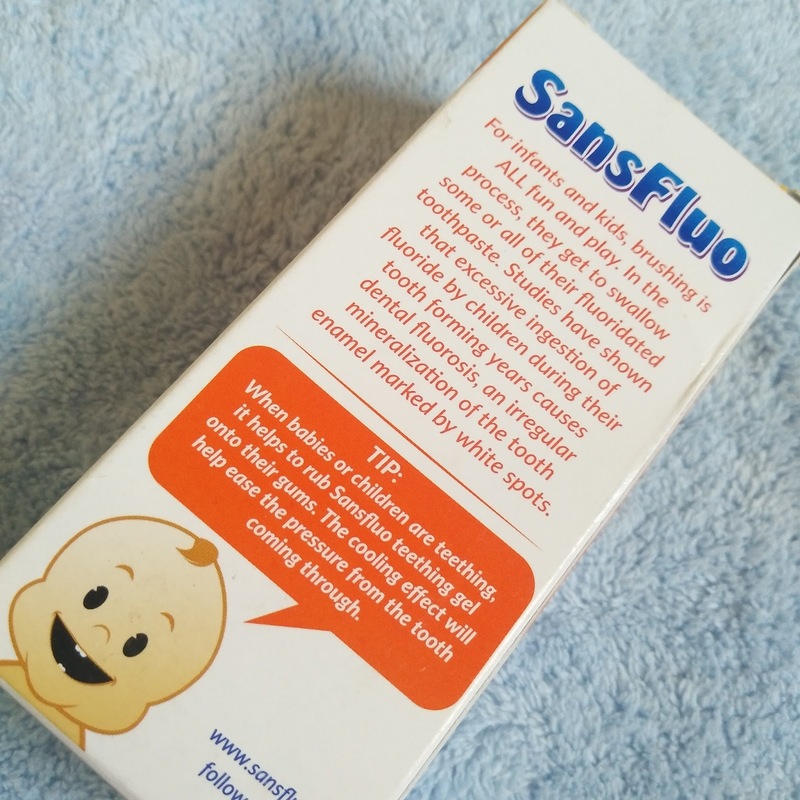 When he first developed his tooth, I researched on how to properly clean baby’s mouth and it was stated that at the first sign of teething, we need to brush it. Of course, bristles would be difficult to use that’s why there are appropriate items for brushing. 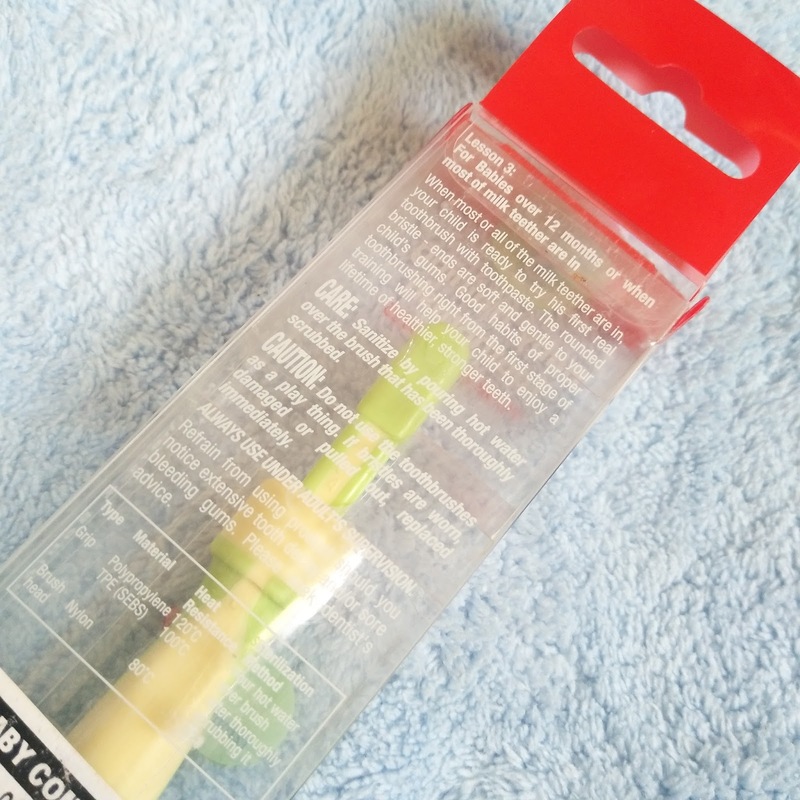 There are chew brushes that can teach the baby to chew and that’s how the teeth will be cleaned. Personally, I do not brush his teeth every day and we just stick to the first cleaning method that we did because he doesn’t chew all the chew brushes that we used. I have different kinds and none of it really worked out for us which made brushing difficult for us. We just used cloth and added some tooth gel to clean his teeth. 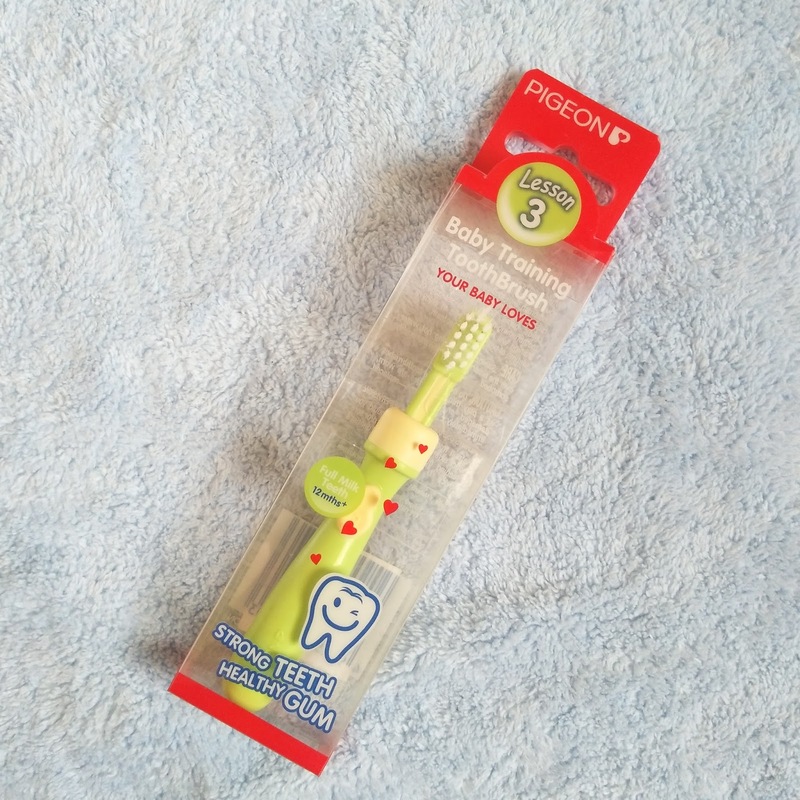 Then finally we decided to purchase this Pigeon brush and a toothgel from Sansfluo to continue his brushing journey. I like the Pigeon one because it's cute and the material used looks sturdy to me. There are also different colors to choose from. It retails at P199. 75 and can be bought in any partner stores like SM, Metro, among others. 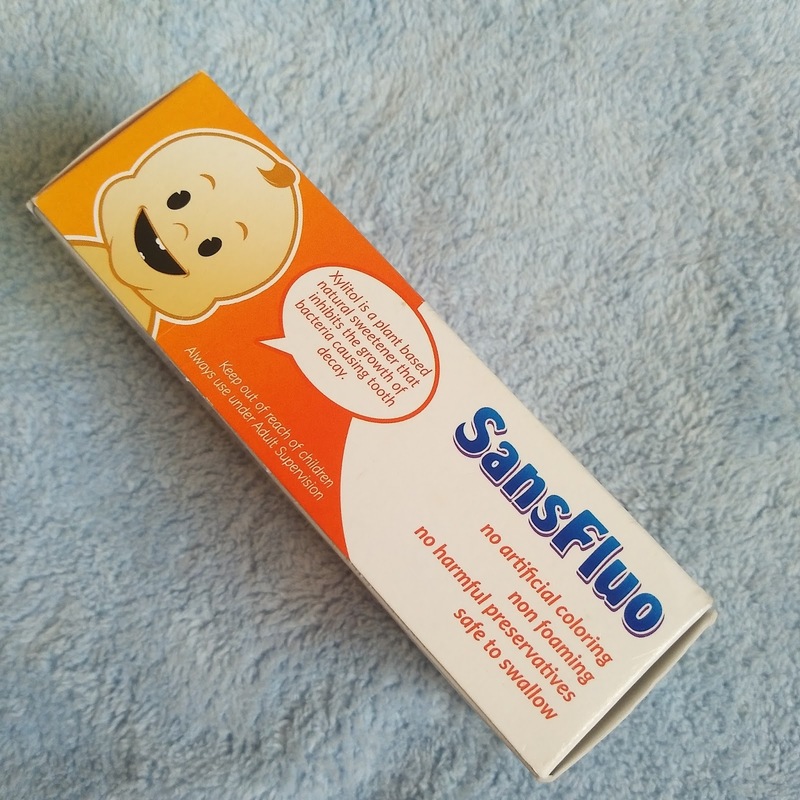 For his tooth gel, we opted to get a Sansfluo. Apart that it's affordable than the others, it comes in different variants and it is also safe to be swallowed. 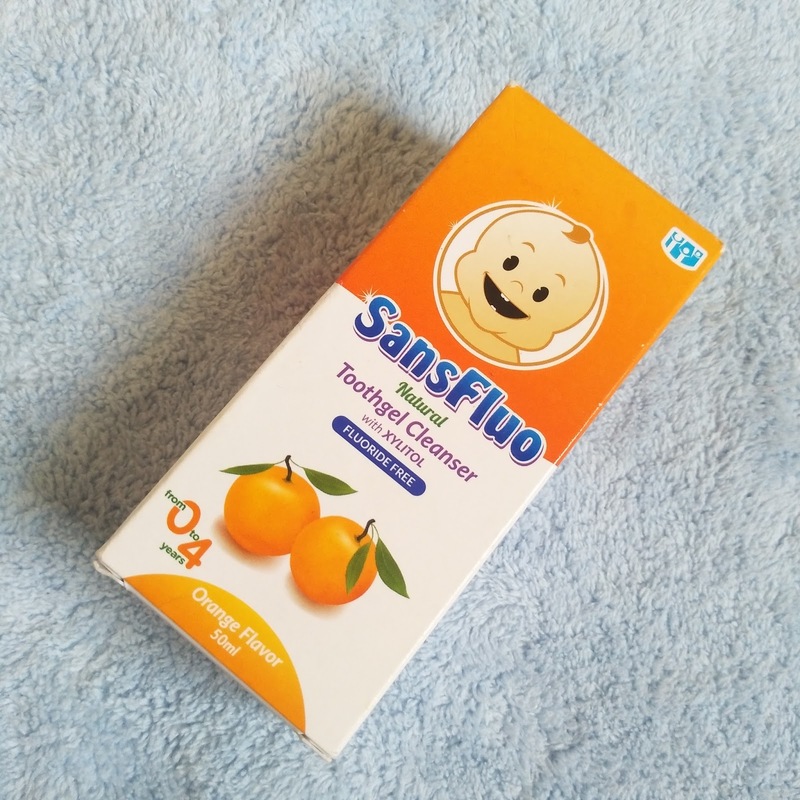 It also claims to be flouride-free and no harmful preservatives. I also think he likes this one than the others we bought. (We got a Pigeon one and a tiny Buds but this won his heart). Good thing we decided to change to the ordinary toothbrush for kids and he liked it. Brushing is a little less bearable this time. There are times though that we still struggle but often times, I need some technique to divert his attention to other things while I’m brushing his teeth. You, when did you first brush your child’s teeth? Any tips to share?